“April showers bring May flowers”! This common American phrase means that spring is upon us – with rainy days, new growth and opportunities, and the promise of warmer weather just around the corner! 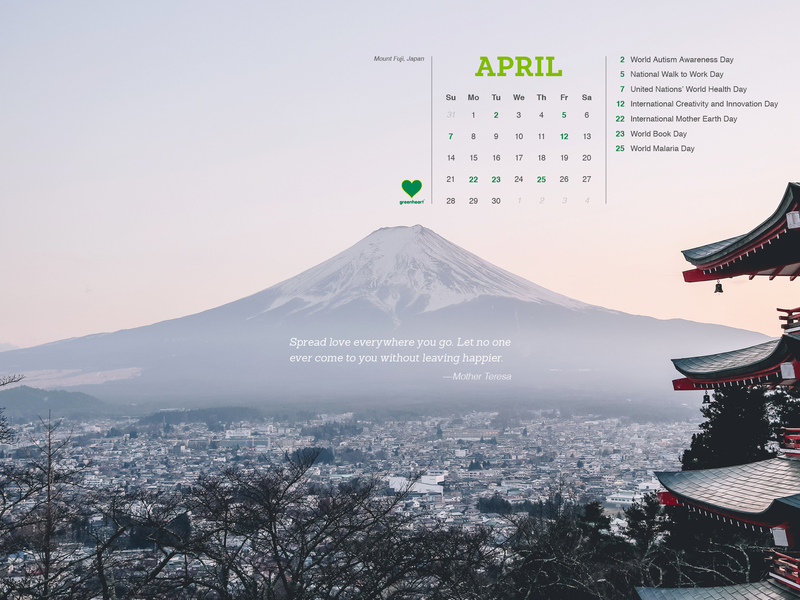 What new opportunities are YOU looking forward to this month? Here at Greenheart, we can’t wait to empower you with our April Global Calendar! Unsure what we’re talking about? 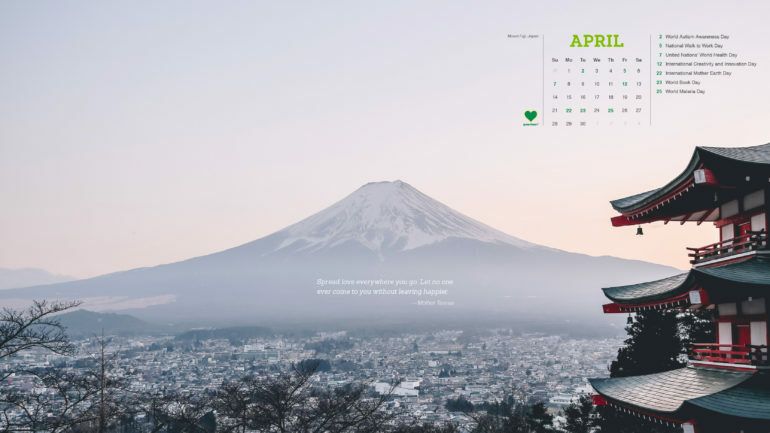 Each month, Greenheart shares a FREE Greenheart desktop calendar featuring a beautiful location from around the world AND highlighting important dates you need to know as a global leader. 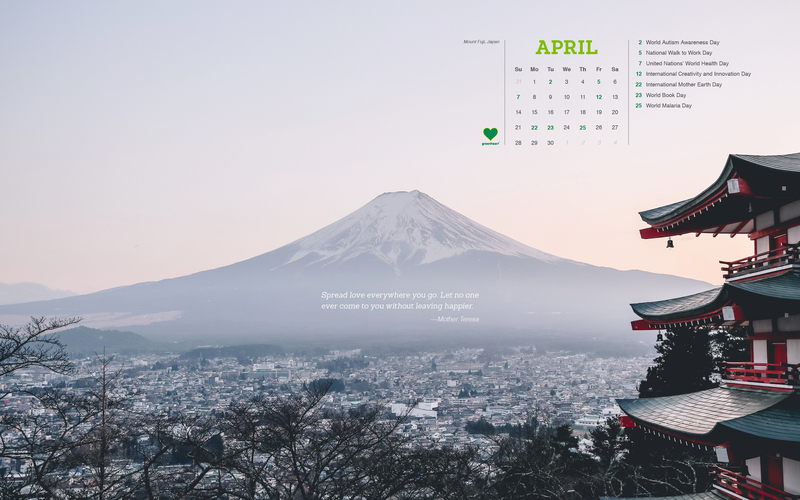 Find the April edition below with instructions on how to download and check back monthly for the next design!